Our household consumption was quite low compared to typical household - around 150-170lt per day for a family of 4. A big part of the reason is that we only use tank water - and it was a dry year. On top of that; we don't wash ourselves everyday, we use a composting toilet system and we are careful with use. 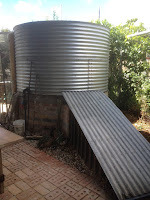 When water is in abundance we tend to use more of it - in winter we will often have baths if the tanks are near full. If low we will have short showers less frequently. 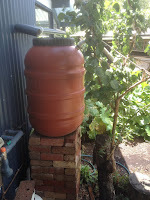 I've been using more water in the garden during the warmer seasons than I have in the past, averaging 230lt per day. This is predominantly used from October till March, with little use outside of these months. I've noticed that it takes quite a while for the water to penetrate into the soil, and during the summer I'll spend about 1.5 hours watering most days. A good time to listen to my favourite podcast - The Permaculture Podcast with Scott Mann. Total mains consumption in 2015: 83,000lt. Average of 227lt per day. Consumption from water tanks (no mains water used) has not been accurately measured. The main tank was about 1/3 full at the end of 2015, reserve tank was near full. If we assume a rainfall of 344mm, we had the potential to collect about 56,000lt of potable water and probably consumed about that in the household - maybe a bit more. I estimate between 150lt and 170lt per day for a family of 4. Our total water consumption for a household of 4 was about 400lt per day. 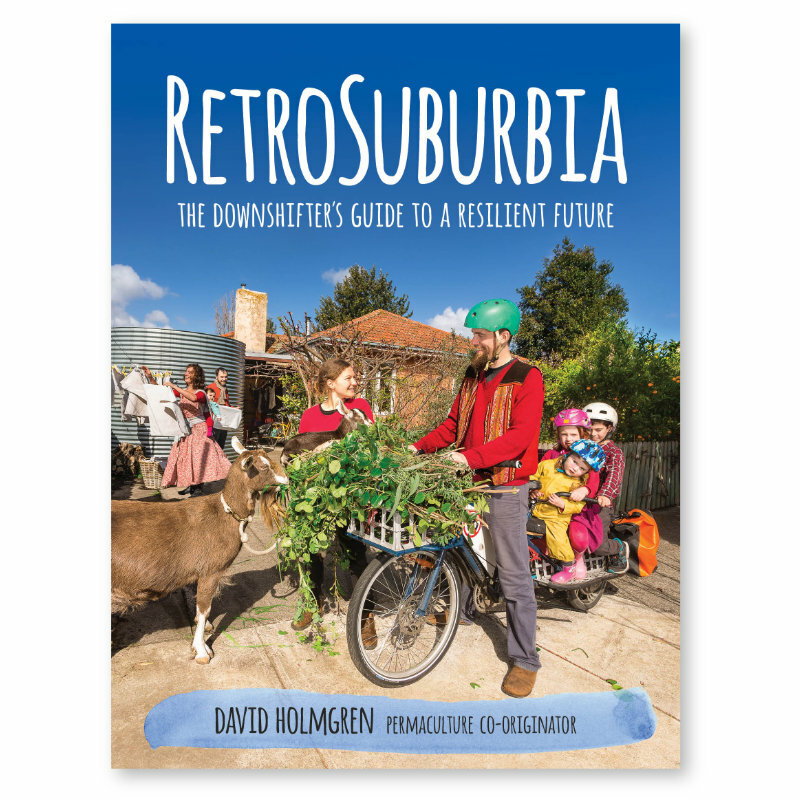 Melbourne average is around 550lt for 4 people (2011/12). Main uses: Washing hands, drinking, watering nearby plants occasionally. Main uses: Household water use; kitchen, laundry, bathroom. 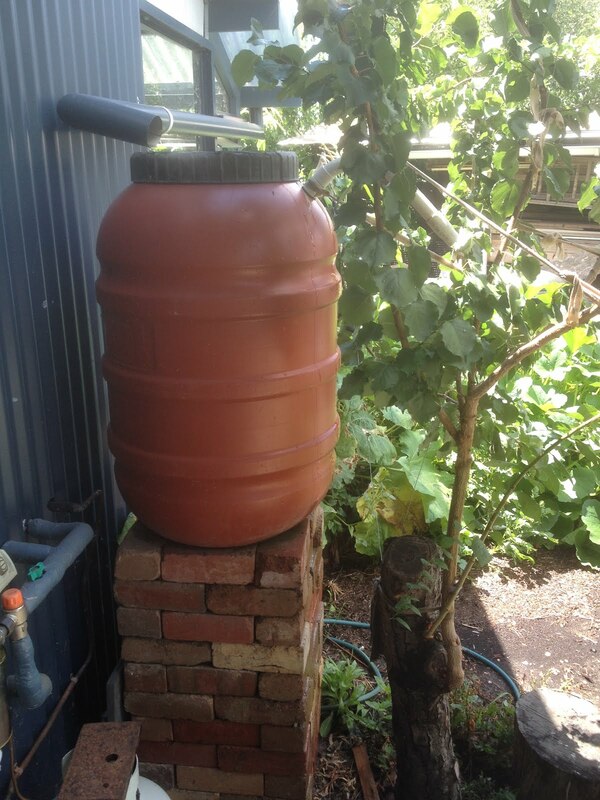 Some nearby plant watering and water for chooks. Main uses: For filling watering can and watering nearby plants. Often compost teas / worm castings added. 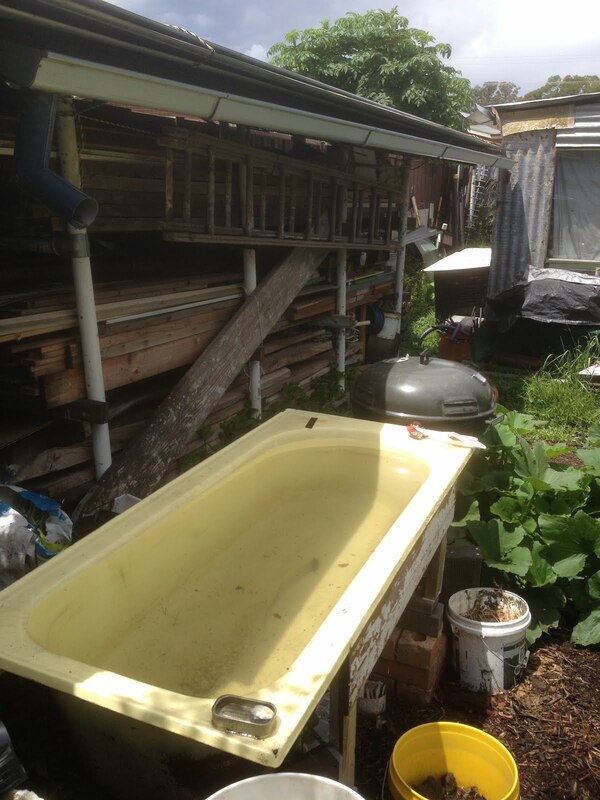 Main uses: Topping up pond in greenhouse, watering nearby plants and washing hands. 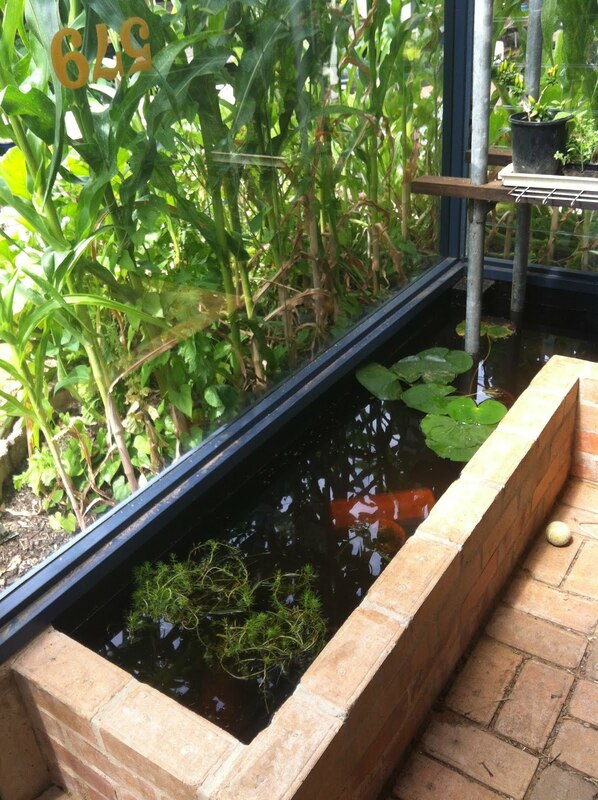 Main uses: Aquaponics and watering pot plants. Main use: Soak into soil on path around garden beds. It takes about 10 hours to soak into the soil from when it's full. This was an unintended water catchment source, but has proved quite useful. Usually pumped out after the water has soaked into the infiltration basin. 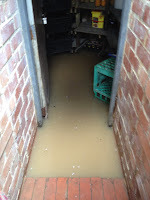 Depth: 200mm not unusual after 25mm of rain, up to 600mm which is quite high.